AFRICA KORPS WASHD.A.K. 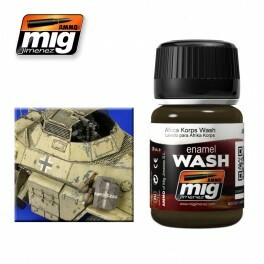 wash for Africa Corps vehicles, also other light colored desert vehicles. Apply on details and remove excess with a clean brush moist with Enamel Thinner.